SINGAPORE - Singapore may have thrown its biggest birthday bash for last year's Golden Jubilee celebrations, but this year's National Day Parade (NDP) will not be a modest affair by any means. 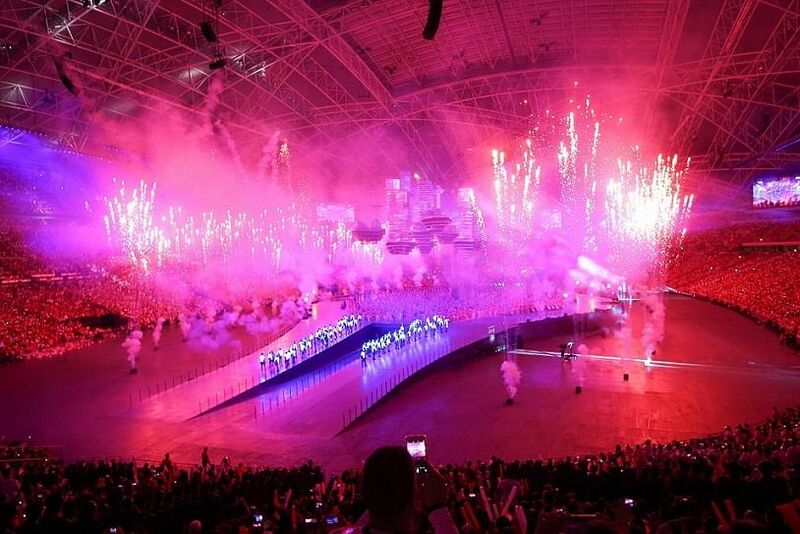 The NDP returns to the National Stadium in Kallang this year for the first time in 10 years. Recently refurbished and reopened in 2014, the iconic arena has hosted superstars such as Michael Jackson and Mariah Carey since it was built in 1973. But perhaps more importantly, it has seen the birth of Singapore's very own distinctive roar - the Kallang Wave. Judging from the crowd's reaction at the preview shows, the Kallang Wave is still as loud as ever. One can only expect the 55,000-strong crowd on Aug 9 to roar so loud that Sang Nila Utama's lion would be proud. Speaking of Sang Nila Utama, this year's NDP will turn the spotlight on a lesser-known character in Singapore's folklore, called Badang. As legend has it, the fisherman of ancient Singapore acquired superhuman strength from a "hantu" (Malay for spectre) and used his newfound powers to help his fellow villagers. 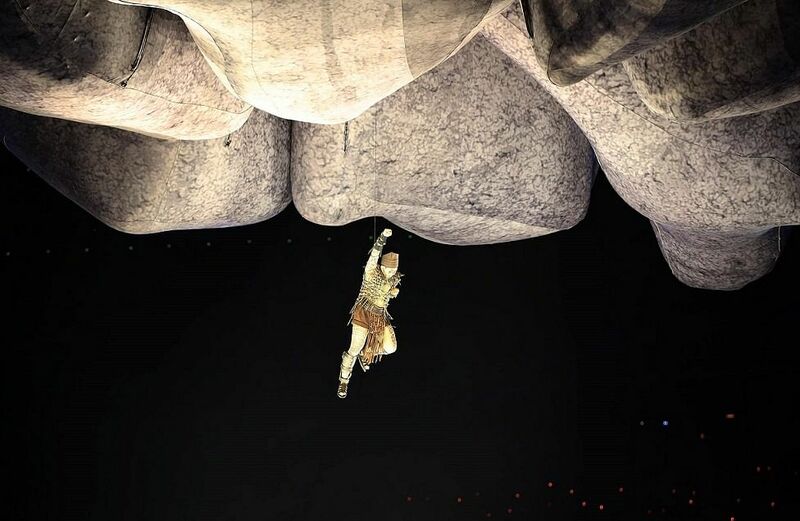 When challenged to a duel, Badang lifted a huge rock over his head and flung it into the sea. It landed at the mouth of the Singapore river, where it was later blown up in 1843, and became what is known today as the Singapore Stone. Watch out for a rousing reenactment of this story at the parade, complete with stirring battle scenes, shimmery costumes and spitting flames that would make a Madonna concert look tame. Special mention must go to Badang himself - played by 38-year-old theatre practitioner and band singer Rizman Putra Ahmad Ali. At one point, our very own man of steel even soars above his enemies like the superhero that he is, making us all wish that we, too, can fly. Last September, Prime Minister Lee Hsien Loong cited a report that likened Singapore to a "unicorn" when he spoke about the Republic's unique qualities. On National Day, this "one of a kind, miraculous animal" will gallop across the stadium in all its glittery glory, symbolising Singapore's dreams for the future. Riding the unicorn is the adorable Minejima-Lee Kai, seven, who also happens to be the son of well-known blogger Benjamin "Mr Miyagi" Lee. 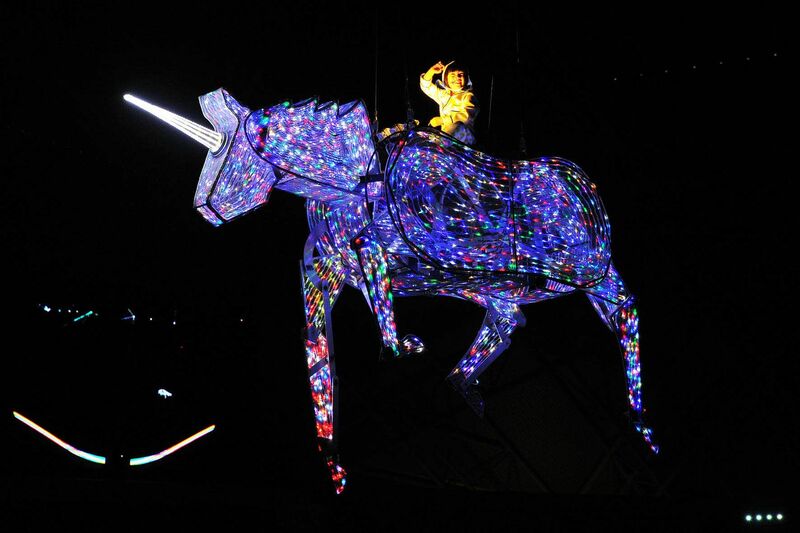 Parade organisers have done a fantastic job making the mythical animal look believable, with a large moving prop suspended from the stadium roof, standing 2.7m tall and 3m wide, and weighing a whopping 175kg. You would think that throbbing dance music and laser extravaganzas belong in clubs like Zouk, but be prepared to shimmy the night away as one segment transports the audience to what can be described as a discotheque from the future. 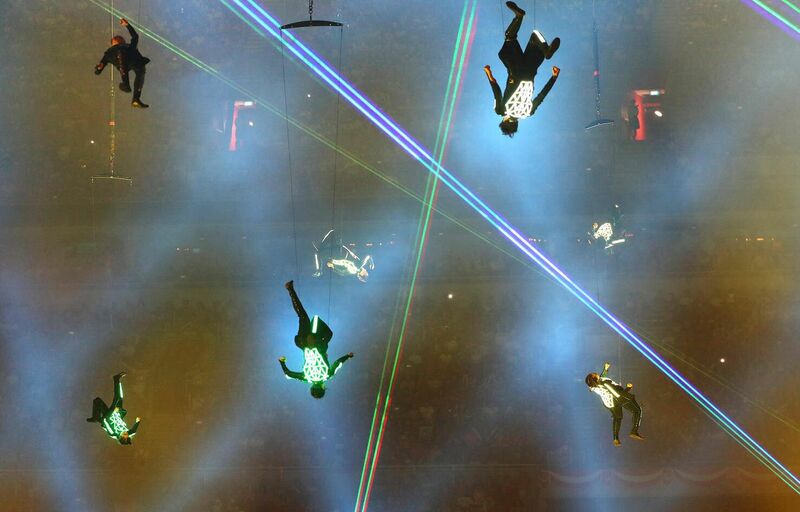 Performers decked out in neon-lit suits move sharply between drones shaped like atoms, paying homage to the country's dedication to innovation and technology. Some dancers even dangle mid-air, twisting and turning like circus acrobats who have swam their way into a science fiction world a la Tron. Drawing on this year's NDP theme, "Building Our Singapore of Tomorrow", the parade will take the futuristic theme much further with an impressive depiction of Singapore as a floating city in the clouds. Expect loud "oohs" and "aahs" when a giant "Sky City" emerges from under the stage through trap doors - an ethereal apparition set against a Don Richmond song, aptly titled "Rise". The clusters of buildings, hoisted up from the stadium roof, stand up to six storeys tall and weigh as much as 338kg each. Projectors will illuminate familiar (albeit floating) landmarks such as Changi Airport with psychedelic animated patterns, giving Singaporeans just a glimpse of what is to come in the next 50 years. Songs have always been a big part of the celebrations, but this year they will be extra meaningful - those who can't hear will also be able to "sing" along. 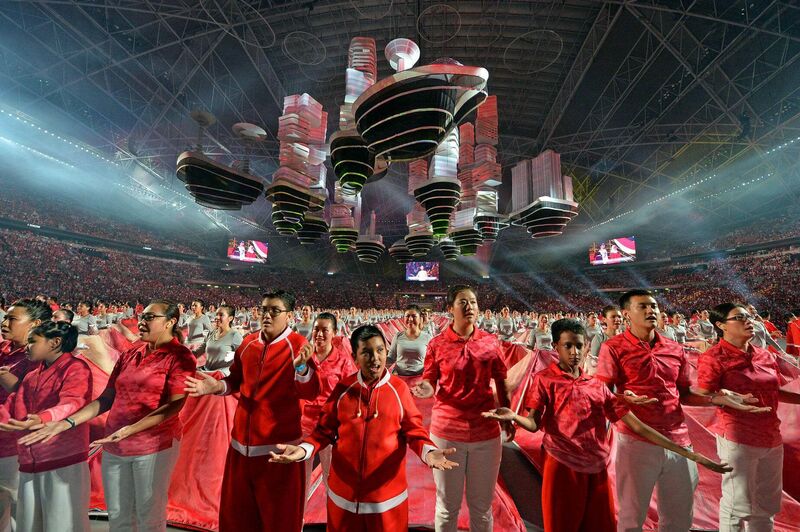 In tune with the parade's message of inclusivity, sign language instructor Neoh Yew Kim and about 150 special-needs participants will lead the crowd in hand-signing two popular National Day songs - Home and Count On Me, Singapore. Particularly poignant and beautiful is when performers from the Singapore Soka Association use their costumes to recreate paintings by artists with disabilities. 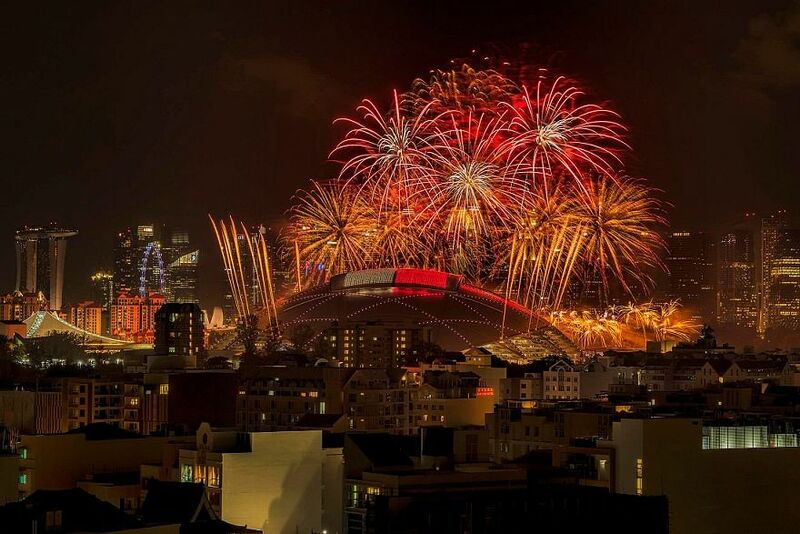 Let's face it - no NDP will be complete without fireworks. This year's colourful crackles in the sky will be set off from the roof of the stadium and three barges on the Kallang Basin, setting the scene for plenty of snap-worthy moments along the river. While those under the dome will not be able to see the outdoor display, they will be treated to the first indoor fireworks in NDP history. These will shoot out from 98 pyrotechnic boxes, will be the largest of its kind in the stadium - roughly five times the amount used during the opening and closing ceremonies of last year's South-east Asian Games.